The IRS made major changes to personal deductions for 2018 taxes. The new regulations eliminate or reduce several popular deductions. As an offset to these changes, the rules also increase standard deductions. 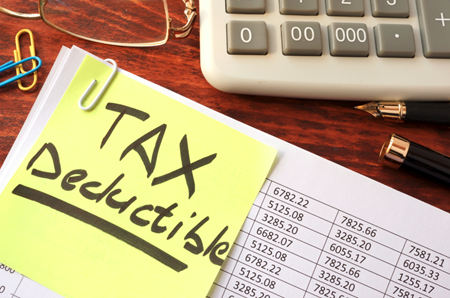 With all of these changes, most taxpayers will not benefit from itemizing deductions. As you compile your tax return for this tax season, please keep the following in mind. In 2017, each individual could take a personal exemption of $4,050. The IRS allowed this deduction for each member of a family. This year the new tax regulations eliminate the personal deduction. You can now only deduct up to $10,000 in state or local taxes. Previously, you could fully deduct these taxes. Under the new tax regulations, taxpayers can only deduct mortgage interest on mortgage liabilities up to $750,000 on their primary and second home. The new rules also reduce or eliminate the deduction of interest on home equity loans based on how the funds are used. Taxpayers cannot deduct home equity loan interest if they use the proceeds for non-home-related events (such as paying off credit cards, purchasing an auto or paying for college tuition). Taxpayers can deduct home equity loan interest if they use the proceeds for home improvements, but only if the combined debt (original mortgage plus home equity loan) does not exceed the $750,000 total loan limit. Unless you are an active-duty member of the military, you can no longer deduct moving expense related to a job change. Previously, in certain circumstances, you could deduct some job-related expenses (such as license fees, required education courses, tools, equipment, etc.). To deduct these job-related expenses, your miscellaneous deductions (including these costs) had to exceed 2% of your AGI. The new regulation disallows job-related expenses. Note: employers can claim these expenses as a business expense. If you are losing this deduction, ask your employer if they would cover some of the cost. To deduct medical expenses, you must itemize your deductions. In 2018, fewer folks will be itemizing their deductions due to all of the above changes. If you are itemizing, you can only deduct medical expense after they exceed 7.5% of your Adjusted Gross Income or AGI. To compensate taxpayers for the elimination of many deductions, the IRS rules increase the standard deduction amounts. The IRS defines a head of household as an unmarried individual with a dependent. To claim this deduction, the unmarried taxpayer must pay more than half of the household’s expenses. The IRS allows a divorced individual to qualify as “unmarried” if the individual’s marital status changes by the final day of the tax year. As you can see, a 2018 tax filing will be much different from previous years. If you need help completing your taxes this year, please contact us.